Regular gynecological exams are crucial for a woman’s health. At Asira Medical in Yorktown Heights, New York, Dr. Monica Grover provides comprehensive gynecological services to women of all ages. A board-certified physician in Family Medicine and Obstetrics, Dr. Grover offers regular health screenings and assists patients with a wide range of gynecological concerns. For compassionate and personalized gynecological care, call Dr. Grover today or book an appointment online. A gynecologist is a doctor who specializes in treating women’s health issues. These issues relate to pregnancy, menopause, menstruation, or recovery from childbirth. Women can also have special mental health needs or needs related to aesthetic medicine that a gynecologist can provide for. Many women choose to see a primary care doctor for most of their medical needs, but certain conditions may require a doctor with specialized knowledge about women’s bodies and the female reproductive system. What gynecological services do I need? All women should receive regular checkups, pap tests, and cancer screenings. At Asira medical, Dr. Grover can help you determine how often you need these exams. If you are at a high risk for certain types of cancers, you may need more frequent exams. 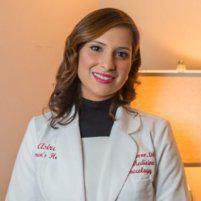 If you’re sexually active, Dr. Grover can also assist you with family planning, contraceptive use, and STD screenings. You may also benefit from a personalized consultation if you're trying to conceive or are experiencing sexual dysfunction. Gynecologists treat many health conditions relating to the pelvis, including pelvic pain, irregular menstrual cycles, and incontinence. Women experiencing menopause can also see Dr. Grover for help in managing their symptoms. Can I receive these services from my regular doctor? While many primary care doctors treat gynecological issues, you may need to see a specialist if you are experiencing ongoing gynecological problems. A gynecologist like Dr. Grover can perform specific tests to diagnose any underlying health conditions. Dr. Grover provides information on how to treat or prevent hormone imbalances, reproductive cancers, and more. 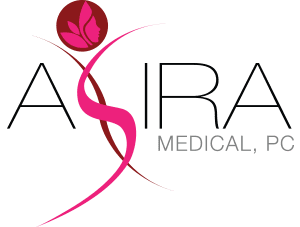 At Asira Medical, she provides an integrated approach to treatment designed to help patients reduce their risk for common women’s health concerns. Aesthetic medicine may also help enhance your appearance and lifestyle. Dr. Grover offers a variety of treatments and procedures to help you look and feel your best. For the highest quality in gynecological services, call Dr. Grover today or book an appointment online.